An absolutely adorable dress for your little darling! Dress shown is in a beautiful coral pink shade embellished with sweet Hydrangea petals. The bodice line is woven in pink satin for added comfort and beauty and is finished off with a delicate spaghetti strap. Petite Petal Perfection Dress shown here in a 12 in length which is suitable for girls ages 3 months - 2 years old. 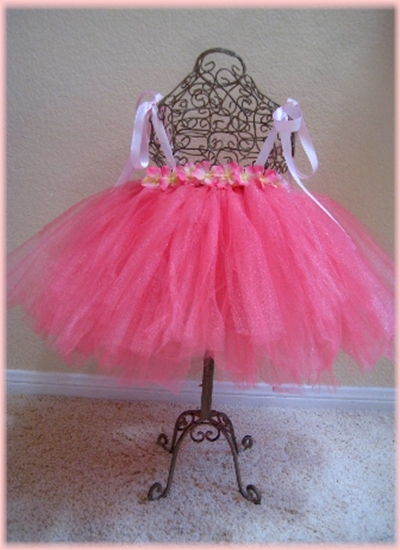 Tutu dress is versatile and will grow with your child. 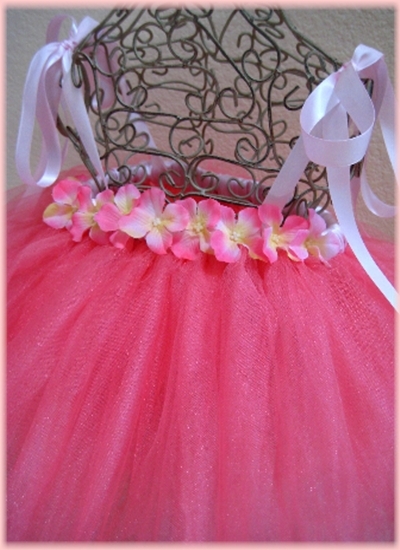 Made of non-roll elastic, dress can later be worn as a tutu! Coordinating Crochet Flower Bloom Headband also available.